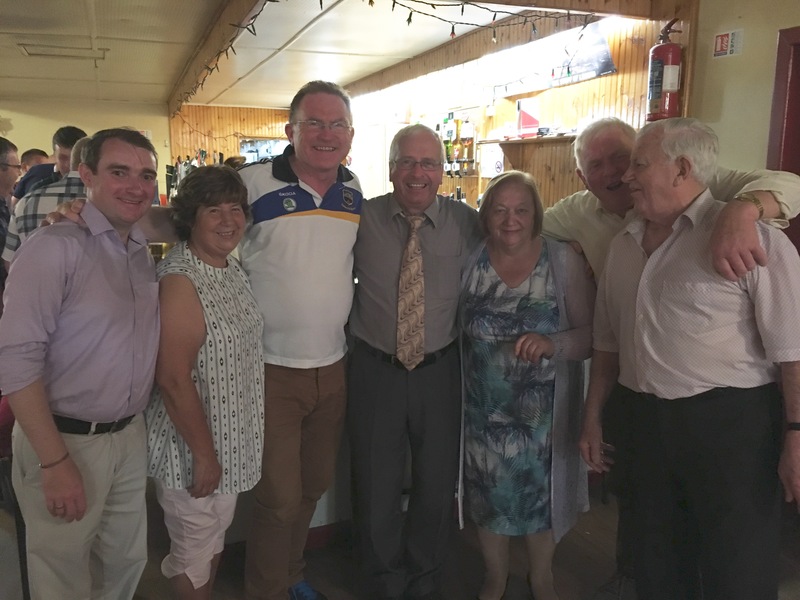 Pictured at the very successful and enjoyable Hospice Fundraiser in the Glenview Lounge, Goatenbridge on Saturday night last which was organised by Peggy Kennedy in memory of her late husband Vinny Kennedy are from L-R Cllr Martin Lonergan, Ann Maher, Ger Meagher, Deputy Mattie McGrath, Peggy Kennedy, John Egan and Mick Cunningham. Entertainment was provided by local musicians, singers and dancers. An enjoyable night was had by all!